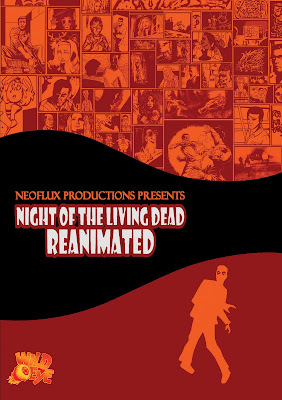 SNEAK PEEK: "Night Of The Living Dead: Reanimated"
"Night Of The Living Dead: Reanimated"
Wild Eye Releasing and MVD Visual will release "Night Of The Living Dead: Reanimated" July 27, 2010. 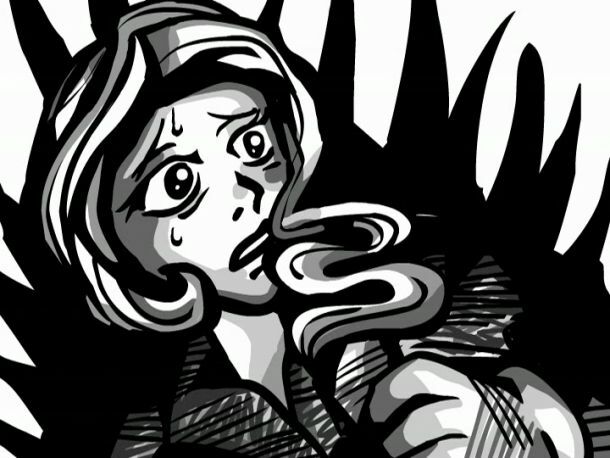 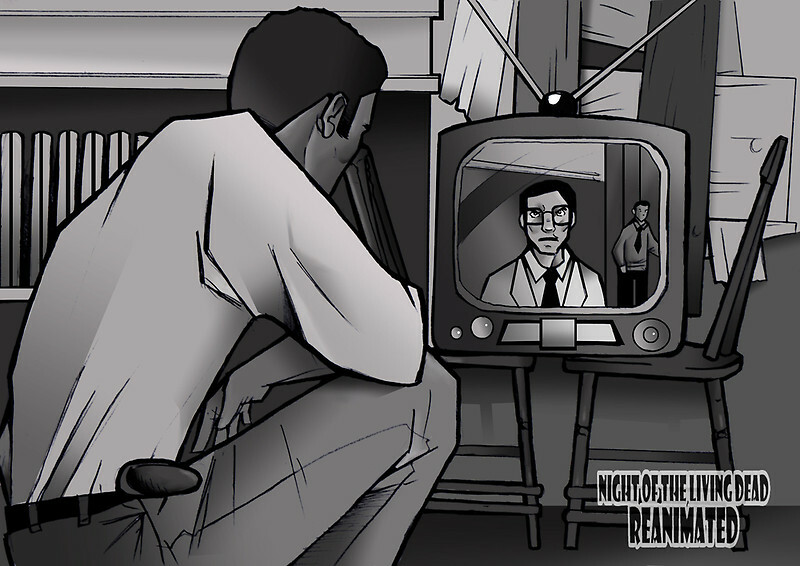 The film is a collaborative artistic mash-up of director George Romero's cult classic, with nearly 150 international artists/animators 'envisioning' sequences from the original 1968 "Night Of The Living Dead" feature, through artwork, with no restrictions on style, media or process - resulting in an 'art show' interpretation over the original film's audio track. 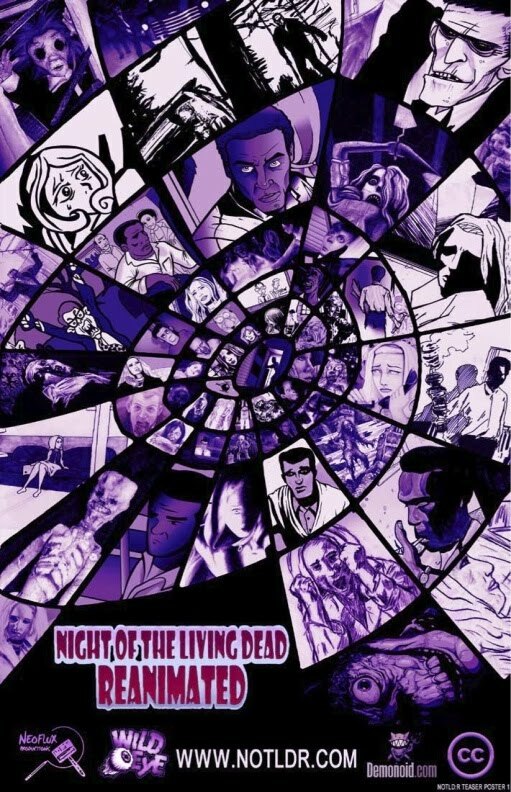 "...With work ranging from oil paintings to comic illustrations and sock puppets to CGI and stop-motion - "NOTLD:R" not only pays the respect due to this most important work in horror history, but encourages viewers to experience the film in a brand new light that bursts with the humor and horror of a new generation of artists..." "This DVD is like a portable horror or zombie convention," said Wild Eye's Rob Hauschild. 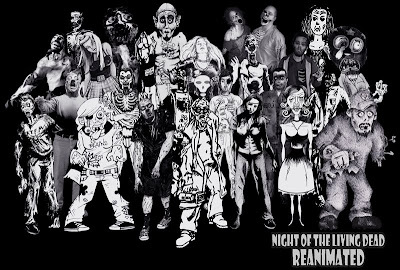 "We wanted to recreate the experience that fans have had around the country, where they've enjoyed "NOTLD:R" at film fests, on horror host TV shows, at zombie-themed events, and pop culture gatherings like the upcoming screening during Comic-Con's opening night (Thursday, July 22)." 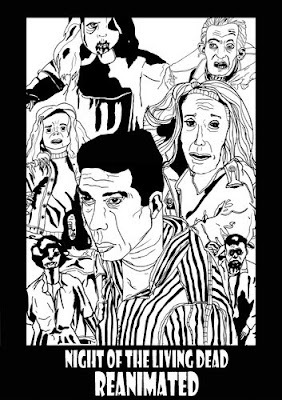 Following that screening, contributing artists will hold a panel discussion including confirmed guests John Chesnut and Josh Barnett (claymation and cut-out animation), Jacquelyn Bond (watercolor paintings), Grant Fuhst (mixed-media artwork), Sean Williams (hand drawn animation), Zina Lahr (toy modification/ experimental animation), Brad Uyeda (stop-motion animation), Anthony Amos (digital animation), and Eric Schock (comic book illustration). Over two hours of bonus features on the DVD will include a special 'horror host' intro from 'Count Gore De Vol', commentary with author Jonathan Maberry, the making of "NOTLD:R" commentary track, "NOTLD:R" artist call-in commentaries, coloring book contest entries, alternate/deleted scenes. 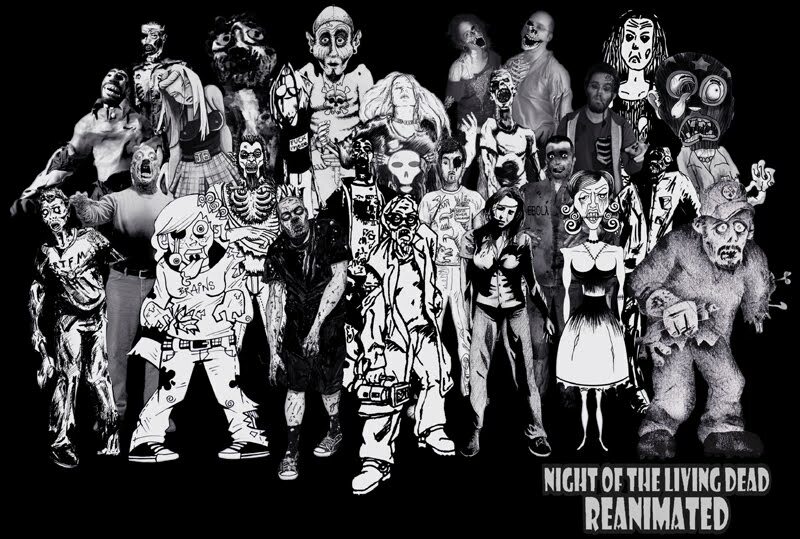 short films, horror comics and related horror art, trailers, behind the acenes animation processes, the Zombie Encounter panel discussion and a whole lot more.